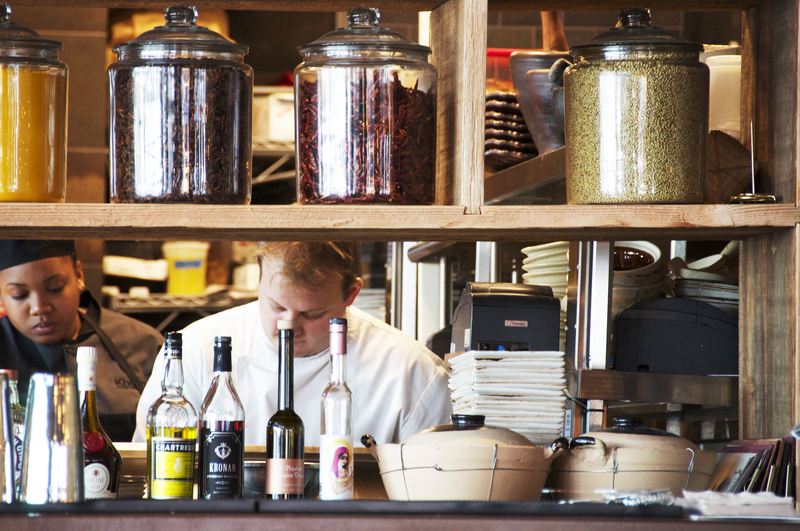 Surprises make everyday life exciting and walking into this restaurant was like opening a door into a culinary adventure that takes you to Southeast Asia. Khong River House managed to transport the flavors of the countries that surround the Mekong River to Miami Beach. Upon entering the Khong River House, the coziness, aromas and warmth almost makes you fall in love with the place before even trying the food. Lots of dark wood, vibrant yet subtle colors wrap patrons like a warm blanket and get the taste buds ready for a distinctive and unforgettable taste voyage. Lundy’s Farm marinated and slow-roasted pork belly with pork rillettes, fresh herbs, house made mayo, pickled carrots and daikon in a fish sauce vinaigrette on a fresh French baguette. 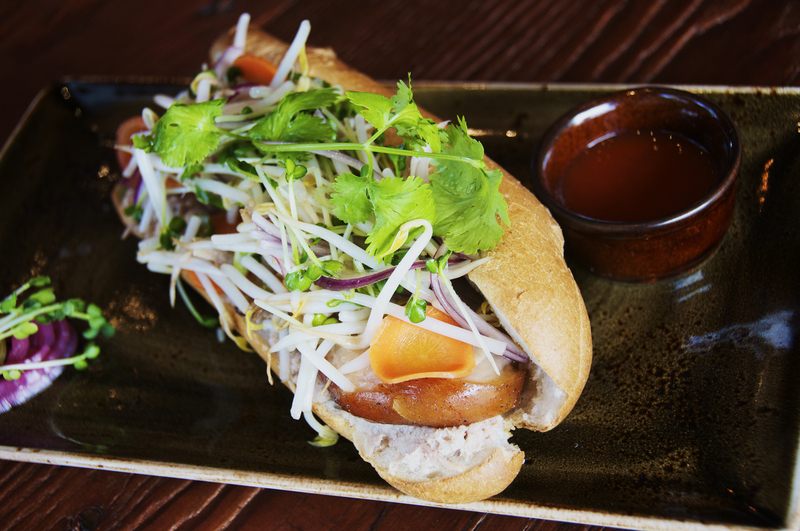 Banhmi is a Vietnamese term for all kinds of bread. Bread, or more specifically the baguette, was introduced by the French during its colonial period. The bánh mì is usually more airy than its western baguette counterpart, so as a result, has a thinner crust. I am not a fan of crunchy bread as one bite usually leaves a substantial amount of crumbs all over the clothes, but this sandwich was quite pleasing. The crispy textures of the veggies commingled perfectly with the soft pork belly. My dining companion, on the other hand, was expecting a crispy piece of pork in the sandwich, almost like a chicharrón, and was disappointed. This was my first banhmi so I still give it a thumbs up. 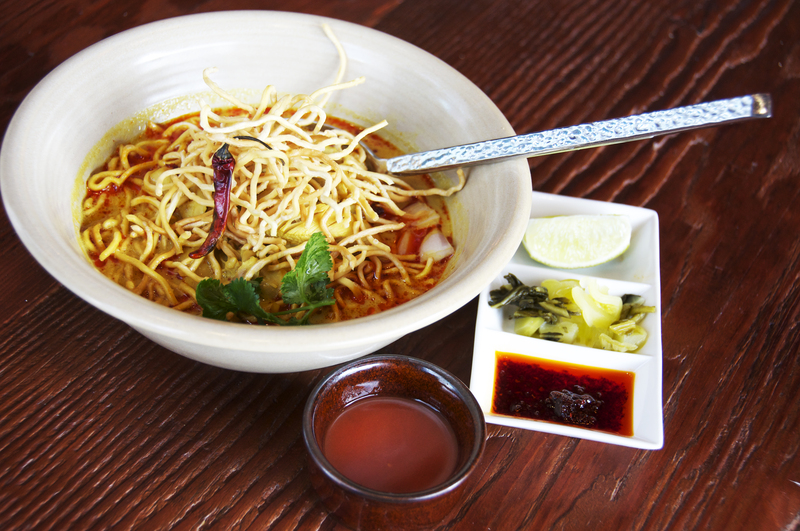 The Chicken Noodle Curry is a Burmese and Northern Thai-style egg noodle with chicken in coconut milk and turmeric broth served with fresh shallots, pickled mustard greens and roasted red chili. Talk about paradise in a bowl: the velvety texture of the broth did unmentionable things to the palate. Leftovers were taken home with the intention of sharing with the kids but this did not happen. The chicken noodle curry was hidden deep-deep in the fridge, away from greedy eyes, and consumed at midnight, by me. 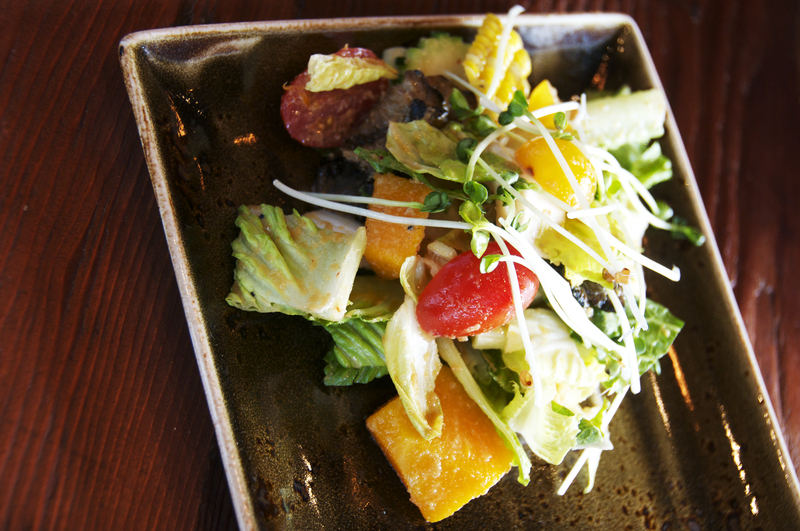 Boran Salad consisted of fresh romaine, endive, radish, sprouts, steamed pumpkin, taro, corn, and grilled oyster mushrooms with spicy lemongrass dressing. Pumpkin was an uncommon and enjoyable addition to this sumptuous salad that was crunchy, soft, and spicy all in one bite. 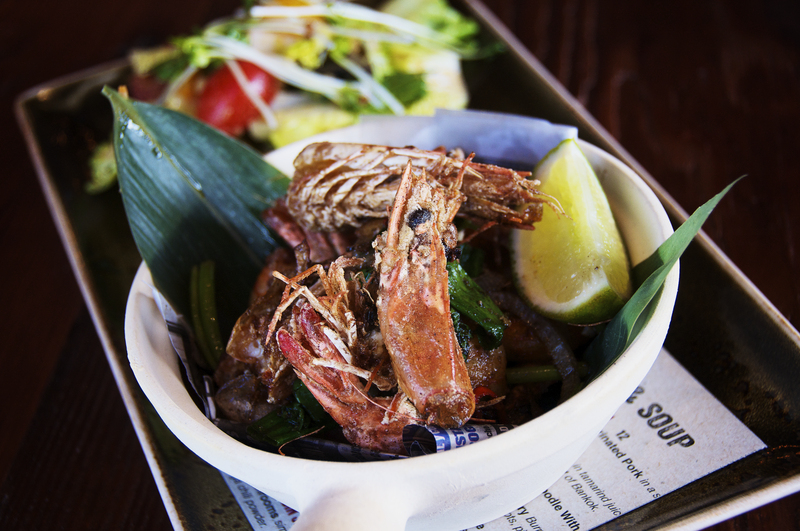 The Vietnamese-Style Crispy Prawns were sautéed with fresh Thai chili, garlic, shallots, spring onion and spices. The “spices” made this dish mysterious, dark with flavors so intense and satisfying that the bowl was almost snatched and taken outside for a lick. The prawn heads were reserved for Miss E., my dining companion, who could not stop praising the virtues of the flavoring. fermented soybean. The queen of broccoli dishes. Wow! 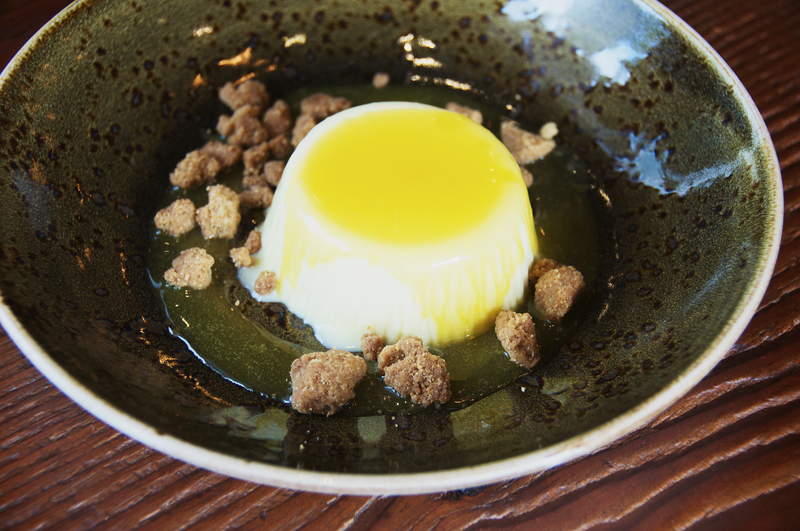 The Creamy Passion Fruit Panna Cotta was faultless, the ginger crumbles fabulous but maybe a bit too sweet for some. Not for me! 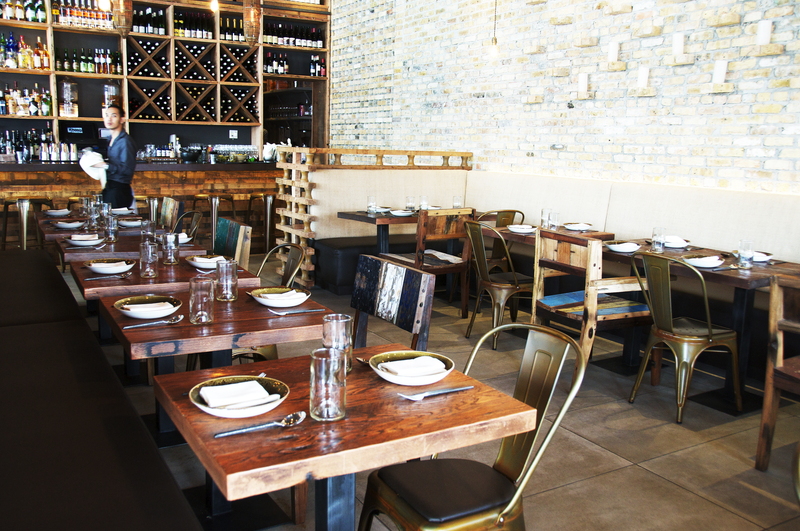 According to Khong River House, the cuisine is a passionate representation of the melding of disparate tastes, ingredients, and techniques that has resulted in the bold, complex harmony that is the hallmark of authentic Southeast Asian cuisine. 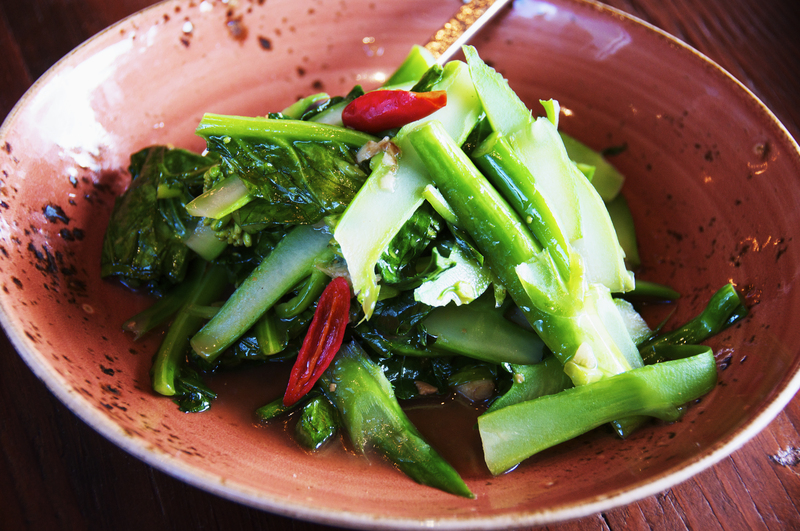 Traditionally, meals include a curry, a fish, chicken, or pork dish, a stir-fry, a salad, a soup and vegetables. The restaurant offers a myriad of cocktails, wines, private dining rooms and unparalled service in a venue that is both stylish and casual at the same time; ideal for any occasion. Khong River House offers a tribute to the food, flavors and traditions of the Northern Thailand area and they do this extremely well.